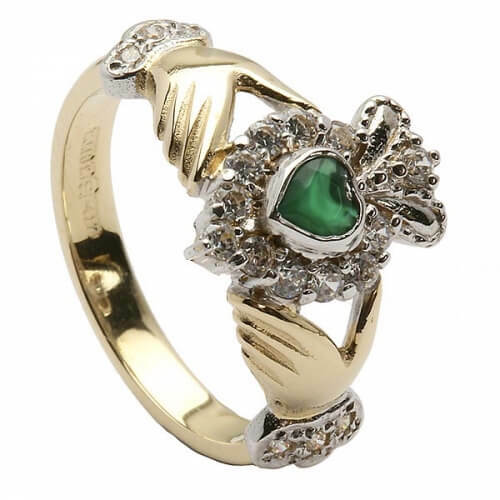 A beautiful 10K yellow gold Claddagh ring with Agate center surrounded by cubic zirconia cluster. 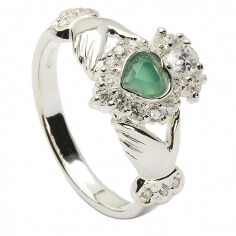 You will also notice a few cubic zirconias in the white gold cuff of each hand. 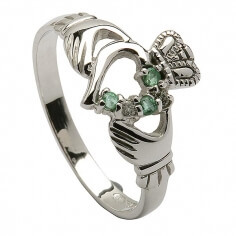 As with all our Claddagh rings, it is hallmarked by the Dublin Assays Office, your stamp of quality and authenticity.